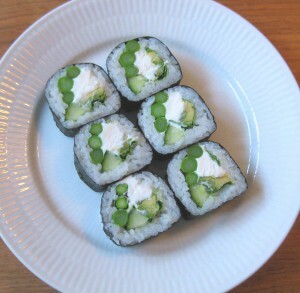 The vegetables are best suited for sushi must have a consistency, texture and taste. I’d rather not favor certain vegetables for the reason that there are local specialties that make that one vegetable is preferred over another. That being said, there are always vegetables that are more suitable than others. Vegetables such as peppers, peas, lettuce, green beans, avocado and more. At Sushi Course for vegetarians, you will learn to compose and prepare different kinds of sushi, so the dinner turns into a gastronomic experience.